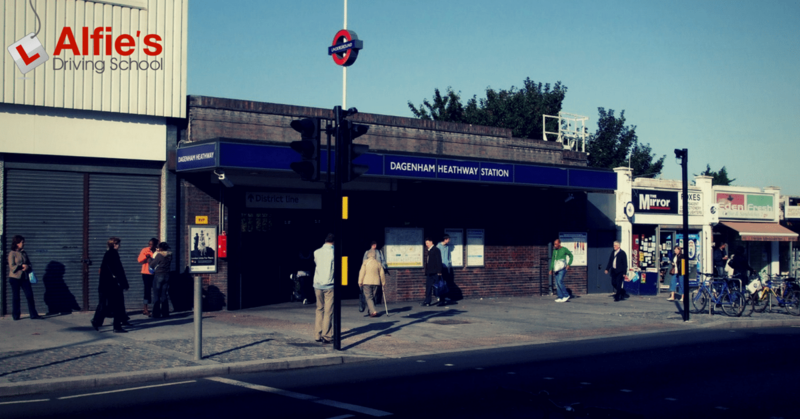 Dagenham offers several routes that can be incredibly useful for people learning to drive. If you are just beginning, the relatively quiet intersection of Langley Cres and Stamford Rd gives you a solid starting place. Driving east, you will find Gale St. By turning left, you can practise laps of the block to familiarise yourself with standard three- and four- path intersections. Practising turning and giving way at various street junctions is a good way to put your understanding of theory into practice. Before even getting behind the wheel, make sure you are properly familiarised with all of the road rules, especially those that dictate who has right of way in certain situations. Once you’re comfortable with these intersections and have done several laps, travel north up Gale St until you reach a five-path roundabout. There also exists a roundabout where Rainham Rd and Ballards Rd meets. Once you reach the roundabout, turn right, ensuring that you keep an eye out for traffic and properly use your indicators. Don’t be afraid to do one or more laps to get yourself completely comfortable with the mechanics of the roundabout. Once you are fully familiarised with the flow of the roundabout, turn right into Hedgemans Rd and when you reach Heathway, turn left to get used to stop–start traffic. After traversing Oxlow and Wood Lanes, followed by Aylmer Road, you’ll soon approach Valence Circus, which you can navigate as you please to familiarise yourself with the circular nature of a circus junction. Once you’re comfortable with navigating Valence Circus, backtrack towards Wood Ln and proceed in a southerly direction back to where you started. It doesn’t have to be the intersection of Langley Cres and Stamford Rd; it could be where you first got into the car for your lesson. Whatever the case, have your instructor call out directions as you drive from this point back to base; it will help you in a test scenario, where callouts are the norm. Always be mindful of traffic conditions, weather, and – of course – be ever mindful of pedestrians, as kids can be especially erratic and hard to spot, and they don’t always follow the road rules. Finally, ensure that you practise plenty of right-hand turns against traffic on your return journey.